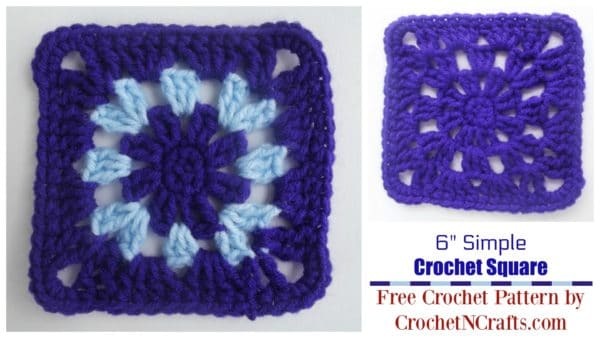 This simple crochet square has been updated to reduce the number of stitches in round 4. And then another round was added to bring it up to 6 inches. Lastly, I am showing a variation of a color change for those who would like to add a bit more color. Although I prefer the one with more color, I think it would make for a beautiful blanket if both squares were used equally in a blanket. This crochet square can be made with any kind of yarn that you have on hand. I used a medium worsted weight and an I crochet hook. Note that if you use a thicker yarn, the square will be a larger size, and when using a thinner yarn it will be smaller. Also, I crochet very loosely, so if yours comes out smaller you can up your hook size, or make your last row in half doubles or even double crochets if you want to. Depending on what kind of yarn you use, you can use this pattern to make afghans, scarves, placemats and other things. And the great thing about afghan squares is that you can join them with fancy, or contrasting stitches for a unique design. 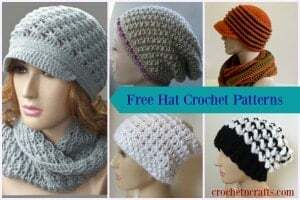 It is a great beginner crochet pattern, as the stitches are easy to make. Beginners might choose to avoid making a color change at first until they are comfortable with the pattern. 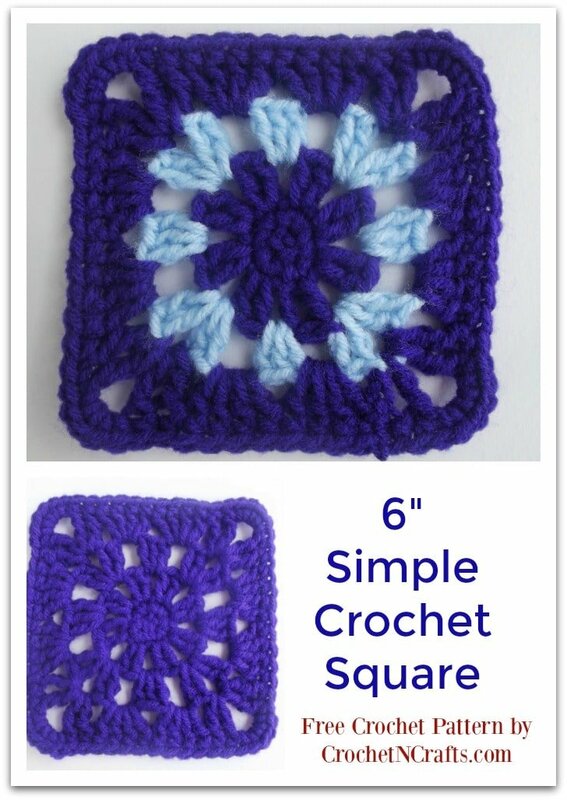 Other similar patterns that you might enjoy include this easy 5″ square, or this pretty lace square. And if you’re a beginner, you might also want to check out this roundup of beginner crochet patterns. Change to a different color in Rnd 3 if you want a stripe in the middle as shown above. You can join the new color in joining sl st of Rnd 2. Rnd 5: Ch 1, sc in same st as join and into each st up to ch-2 sp, *work 5 sc into ch-2 sp, sc into each st up to next ch-2 sp; rep from * around back to first sc made; join with sl st in first sc. [68 sts] Fasten Off. I am left handed. Do you have directions for left handed people? I believe it’s the same, only you work in the opposite direction.